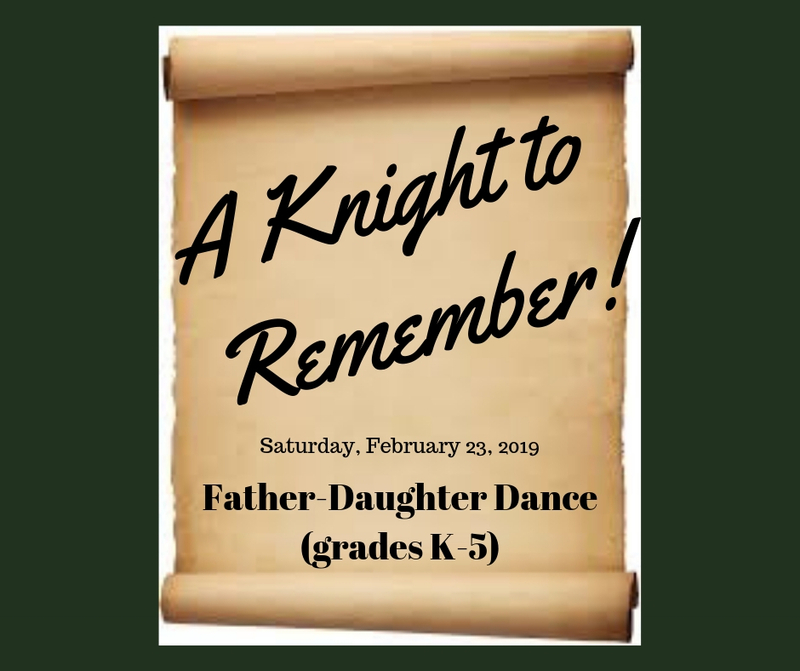 You are cordially invited to attend “A KNIGHT TO REMEMBER”, the Waynesville Father- Daughter Dance at Waynesville Middle School on Saturday, February 23, 2019. Princesses & their Knights (father, grandfather, uncle, brother, etc…) are welcome to arrive starting at 6:00pm for pictures. Pictures will also be taken throughout the evening. Dancing will begin at 7:00 pm and conclude at 9:00pm. Refreshments will be served. Price to attend: $20.00 per family. Entries can be purchased through registration. Just fill out the form below and return it to your child’s homeroom teacher with payment. No tickets will be issued. Just check in at the reservation tables upon entry. Hartsock Florist will have princess corsages available to order starting at $10. Call ahead and order at (513) 897-4026. Last minute orders not guaranteed. Stone House Tavern has partnered with the WHS After Prom Committee in a takeover fundraiser from 5 - 7pm on 2/23. If Knights would like to take their Princesses to dinner before the dance, After Prom will receive 10% of your bill as a donation. Refreshments, live DJs, dancing, activities, a grade level dance, a selfie area (have dad bring his cell phone), basket raffle and more.